Know your shade and be in control. 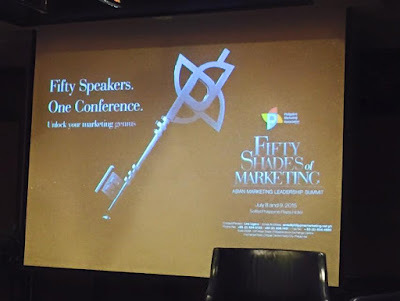 The theme of this year's 1st Asian Marketing Leadership Summit, "Fifty Shades of Marketing," got its inspiration from the popular fiction by E.L. James. It is every marketer's goal to be able to control the market, making consumers believe a brand's promise and behave favorably. But according to a marketing guru, to be in control, brands must first learn to submit. "Marketing is always about brands being dominant and consumers submitting. 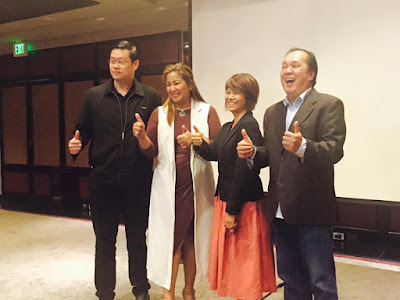 But in reality, every brand has to submit first because the submissive is the one who is in control," explains Donald Lim, over-all chairman of the Philippine Marketing Association's summit. The Asian Marketing Leadership Summit (AMLS) is the new brand of the annual marketing conference that PMA stages. But unlike the previous conference, this year is much more of a gathering of marketing leaders, a summit where there will be more discussions and interactions. The event will be on July 8 and 9 at the Sofitel Tent. Senator Chiz Escudero will deliver the keynote during the plenary session while Francis Kong will close the plenary. The summit is not only an opportunity for every marketer to grow and learn. It also serves as a venue for them to get to know fellow marketers. "Participants could learn as much by choosing the track that they want. 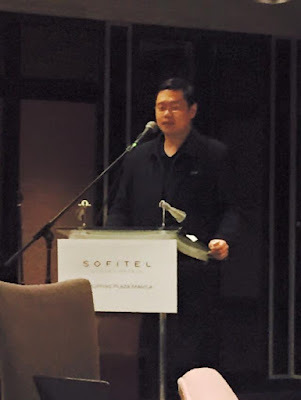 They should also take this chance to network like they've never networked before," says Lim. For more information about the 1st Asian Marketing Leadership Summit, please visit- 50 Shades of Marketing.